The Porrajmos, literally "the Devouring," is the term that the Roma use to describe the Nazi regime's attempt to wipe their people off the face of the Earth; for the genocidal wave of terror known to most of the world as the Holocaust. An estimated half million Roma were killed during the Second World War  only five percent of the Czech-born population survived. 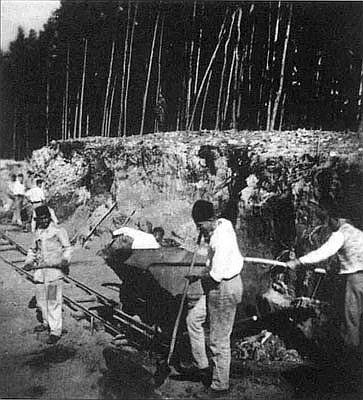 Nearly all who lived through internment in the Czech-run labour camps near Hodonin and Lety  now the site of a pig farm  later perished in the so-called "Gypsy family camp" at Auschwitz-Birkenau. 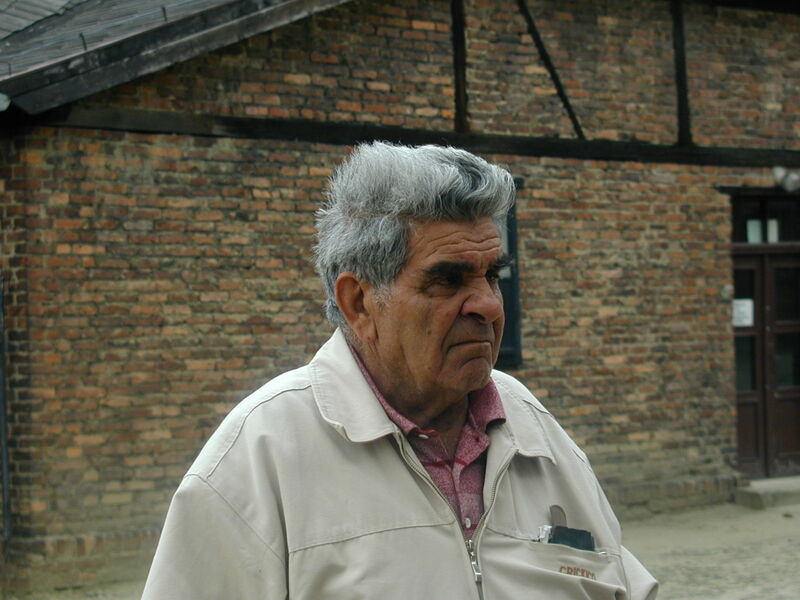 Inmate number 1-9-9-6 was among the few Roma to survive Auschwitz. The Nazis didn't bother to tattoo an ID number on Antonin Hlavacek's arm  Romani children, like the elderly, weren't meant to live long, so his number was written in ink. But sixty years later, Mr Hlavacek can no more forget the number he answered to at Auschwitz than the atrocities he witnessed as a young boy. "The transports would come in when it was dark. We weren't allowed to go outside but heard it all. They'd pull everyone out of the train, pile up their clothes and belongings on the floor and send most of them straight to the 'showers'. Instead of water, it was gas that came out of the pipes. There was also a group of prisoners, selected every three months, that was given more food and made to work in what we thought was a bakery. Only much later did we realise it was a crematorium, where they burned people. The toilet was just one big hole with a piece of wood over it and in order to get to it, we had to move aside dead bodies because they were only taken away every three days." The horrors of the death camps have been exhaustively documented, but the wartime fate of the Roma  who, like Europe's Jewish population, were singled out for extinction by the Nazis along racial lines  is less widely understood; their tremendous suffering and loss often reduced to little more than a historical footnote. No Roma were called to testify at the post-war Nuremberg Trials and no one spoke there on their behalf. Artur Radvansky  a Jewish Holocaust survivor whose of Auschwitz  has made a point of bearing witness in recent years, travelling to Germany to explain the Holocaust to students of all ages. One horrific event stands out in his mind above all the others  the day he watched camp guards bring in a group of Romani war veterans from Germany. "I witnessed the most terrible thing, something which no-one else knows about in this country because no-one else is alive to remember it. 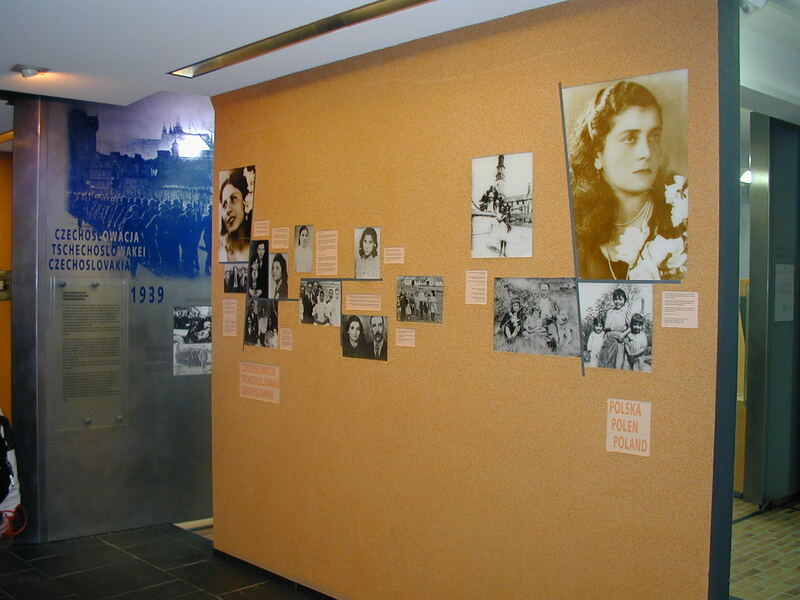 One day, the Auschwitz guards brought in between 400 and 600 Roma from Germany. Many of the men were former German soldiers who had fought in Poland during the First World War. Some of them were still wearing their medals: the Knight's Cross, if you're familiar with it. They were decorated soldiers  German soldiers  and yet one night the guards came and took them to the gas chambers to be killed." While the fate of the Roma  a dark skinned people who largely lived on the margins of European society and had known persecution for centuries  may now seem inevitable, in the earliest days of the Third Reich, the Roma and Sinti people, then commonly referred to collectively as "Gypsies," posed a problem for Hitler's racial ideologues. The Nazi anthropologists knew that the Roma had arrived in Europe from India and believed them to be descendents of the original "Aryan" invaders of the subcontinent, who returned to Europe. So Nazi racialist Hans Gunther found a justification for measures already long in place to control "the Gypsy plague": if the Roma were no less "Aryan" than Germans, he theorized, then their supposed "inherent criminal character" must have stemmed from their having mingled with "inferior" races over centuries of nomadic life. In 1933, after Adolf Hitler became chancellor of Germany, the Nazis introduced a law to legalize eugenic sterilization, to control population growth among "Gypsies and most of the Germans of black colour." In 1939, the Nazi's Office of Racial Hygiene issued a statement saying "All Gypsies should be treated as hereditarily sick [...] the aim should therefore be the elimination  without hesitation of this defective element in the population." The following year, at a concentration camp in Buchenwald, 250 Romani children were used as human guinea pigs to test cyanide gas crystals. It was in January 1942 that the Nazi bureaucrats decided on the "final solution" to the "Jewish problem"  extermination in mass concentration camps. At that time, so-called "pure Gypsies," as members of the "Aryan race", initially weren't targeted for extinction along racial lines and even continued to serve in the Germany army. 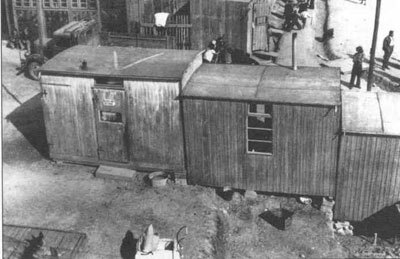 But in December that year, Heinrich Himmler, the commander of the German SS and the principal executor of the "Final Solution," gave orders that all Romani candidates for extermination be transported to Auschwitz; and in November 1943, expanded the order: all "Gypsies and part Gypsies" were be treated "on the same level as Jews and placed in concentration camps." "Contrary to the fate of the Jews, Roma and Sinti were still taken into the German army until 1942 and only then did Himmler give the order to deport all the Roma and Sinti to Auschwitz, to the so-called 'Zigeunerlager'[Gypsy camp] - no matter what kind way of life they led, but only on the basis of their race." Markus Pape is spokesperson for the Prague-based Committee for the Redress of the Romani Holocaust (VPORH). He has done extensive research on Czech-run labour camps and his organization has been gathering testimony from Romani survivors for some time now. The vast majority of Romani people living in what is today the Czech Republic are descended from Slovak Roma; their ancestors transferred here to the Czech lands in communist-era resettlement programmes. Mr Pape says most Romani survivors agree to speak about their experiencs only if they are not shown or identified on Czech media, so painful is the memory and so great their fear, even today, of persecution by skinheads and repurcussions from other racist groups active in Czech society. Czech officials have been slow to acknowledge the wartime persection of the Roma. Not only do precious few memorials exist to honour the memory of those killed in the war, but the site of the largest Czech labour camp, near the town of southern Bohemian town of Lety, where over 1300 Roma were interned at a time, is today home to ... a pig farm. "Even though the Czechoslovak authorities made a major investigation into what happened at the Lety camp  and found most of the perpetrators who caused the death of at least 241 children  none of the guilty persons was ever punished. This is one fact which is to this day very difficult to explain to the Roma." "The other fact is that in the 1970s, a huge pig farm was built on the former camp site  and is being run until today. In spite of protests by Roma and annual memorial vigils held right next to the former camp site. The [Czech] government has not managed to explain why this is the way it is." 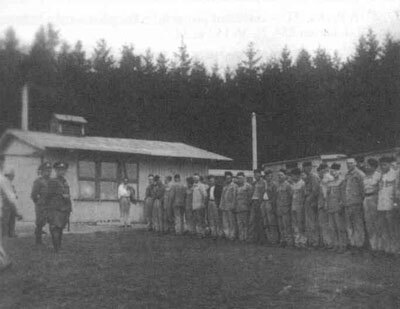 A law establishing Lety as a work camp for "nomads"  read the Roma  was passed in March 1939 by Czechoslovakia's proto-fascist Second Republic. 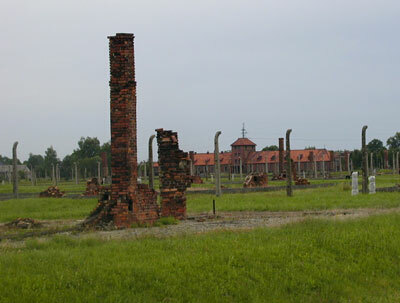 In 1942, the Nazis designated the Lety facility as a concentration camp for Roma. Nearly all of the Roma who survived the torture, malnourishment and typhoid rampant in the Czech-run camps of Lety and Hodonin, met their death in a special "Gypsy family camp" at Auschwitz-Birkenau, but not without a fight, says Mr Pape. "In May 1994, thousands of Sinti and Roma barricaded themselves in, ready to fight the SS men. They had found out that on that same day all of them were to be killed, by gas, at once. The SS decided not to attack, or try to kill these people. Unfortunately, later on, the ones who were still healthy enough to work were sent on to other concentration camps and only a few of them survived; and the children and old people were killed in a massacre in Auschwitz." The liberation of the Auschwitz  sixty years ago this Thursday (January 27)  came too late for the Roma, as it did for over a million Jews, and tens of thousands of Poles, and political prisoners, homosexuals and "asocials" of all nationalities. 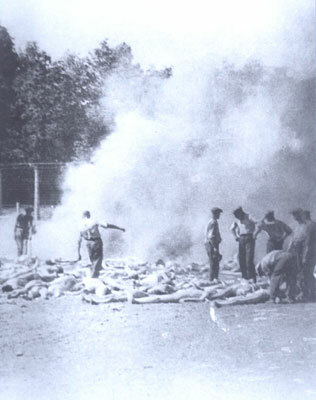 Months before the liberation, camp authorities closed the "Gypsy family camp," gassing some 3,000 Roma in the first days of August, 1944. Over 20,000 Roma had already died there from starvation and disease, or in the gas chambers. 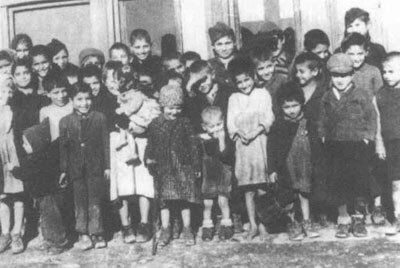 The interned Roma had been allowed to stay together as families only because the Nazis had learned from past experience that separating Romani parents from their children made them impossible to control as a group and exploit for forced labour. Far more Roma people died outside the camps than in them, especially in Eastern Europe, where pogroms and summary executions were a daily occurrence. Antonin Lagrin's mother and father were among those who somehow survived "the Devouring" - the Romani Holocaust. But despite the stories his parents told him, he was shocked to learn the extent to which his family had been decimated. 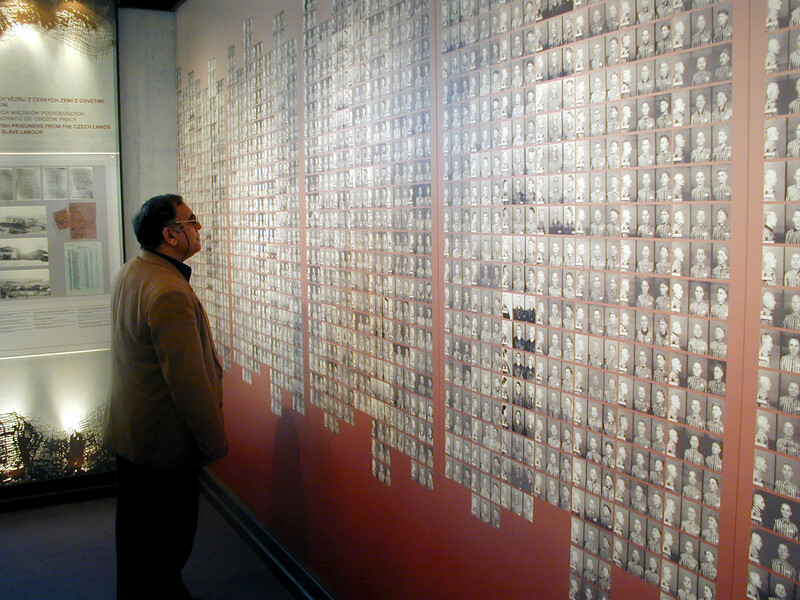 "I saw a list of names of prisoners at Auschwitz-Birkenau which had the names of about fifty relatives. That came as a big surprise. I didn't know there were so many of us there. I just knew of my close relatives. My great grandfather was shot there and my great grandmother was kicked to death just because she tried to get snow off her head when she was working outside in the freezing cold. Camp prisoners must have gone through horrific things, but my parents don't like to think about them."